I don't know what it's like where you live, but here in Pennsylvania it's freezing. It's like winter is making up for lost time. So naturally, I'm past ready for a vacation. Unfortunately, we still have months to go before we see a beach. That's why I need to bring the vacation to me with Crazy Cups Crazy Jamaican Java. As it brews, the aroma whisks you away to your sunny, warm, Jamaican vacation. This medium roast coffee has the taste of smooth vanilla, sweet caramel, and a hint of rum. Warm up with a cup, close your eyes, and imagine you are sitting on a warm beach sipping cocktails. 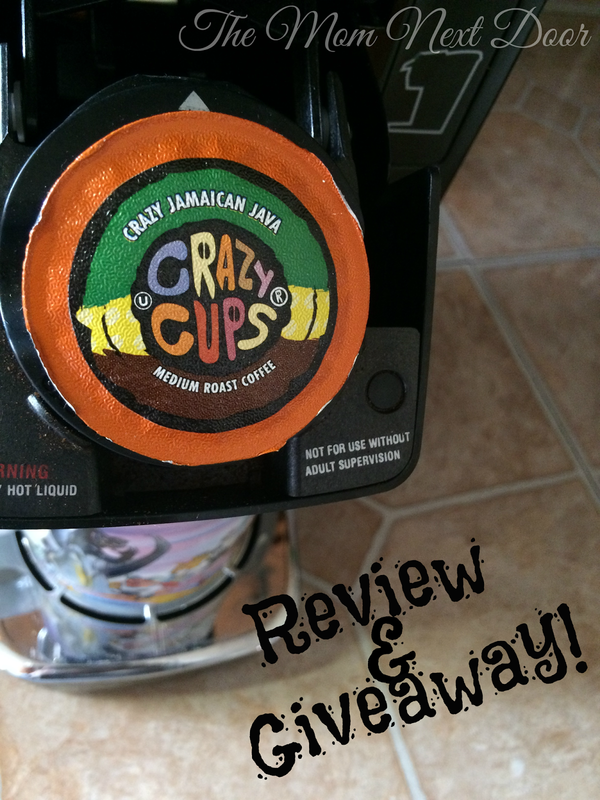 Crazy Cups coffee is gluten free, nut free, and zero calories. What?! ZERO calories?! Yes! Which means I can still drink it while on my Nutrisystem program and not feel guilty about indulging in something so sinfully delicious. Even better is that each coffee pod is completely recyclable. Did I mention that this coffee is also fantastic as an iced coffee? While you are there, sign up for their rewards program and earn points towards free coffee every time you place an order! Want to win a 22ct box of Crazy Jamaican Java? I would love to be on Grand Cayman Island right now, soaking up some sun! Canada. Lovely cool weather, plenty of snow. I would be building snow men until my fingers fell off!